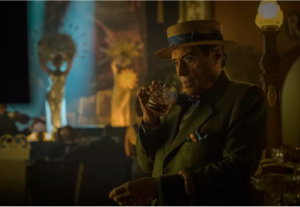 American Gods has officially been renewed for a third season even as the second season has only begun. The fantasy drama will also be getting a new showrunner, its third so far, according to a report by Deadline. Just ahead of the season two premiere, the show has already been confirmed for a third season. Charles “Chic” Eglee (The Walking Dead) has come on board as the new showrunner. The first season was run by Bryan Fuller and Michael Green while Jesse Alexander was brought in for season two. American Gods airs every Sunday on Starz.